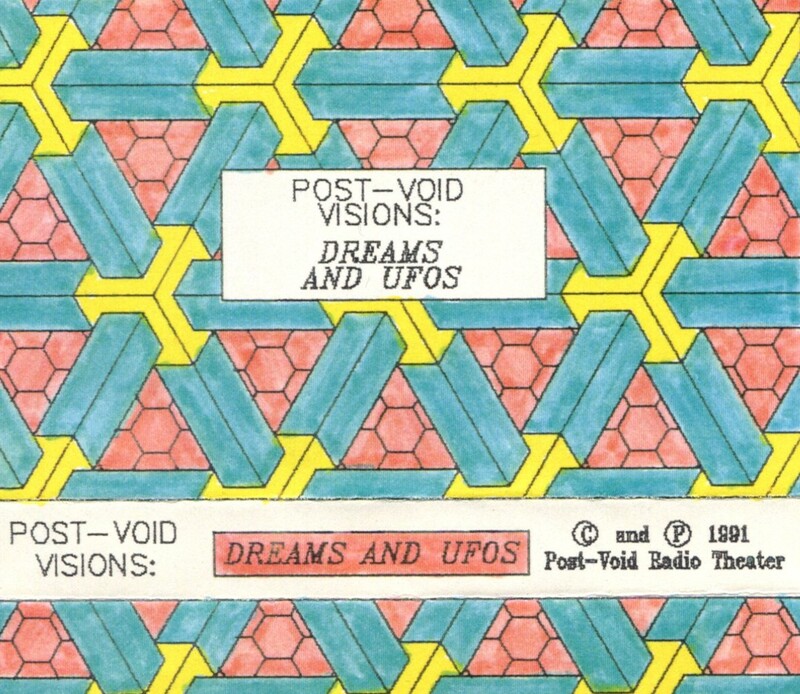 Visions of UFOs in dreams voiced by the dreamers: Miriam Stonehill; Stuart Mathews; Brian Anderson; Peter Stenshoel; Bob Zander; news bulletins from Little City in Space with Jeff Pike & Damon Mathews on a special titled Dreams & UFOs, broadcast May, 1981. A 1991 cassette (below) was offered at UFO Expo West in L.A., where Peter & Miriam also sold their alien head refrigerator magnets. Archive Bonus Tracks feature a commercial for Whitley’s Bed & Breakfast; a dream by Marc Myers; and Peter’s unusual experiences around a Stephane Grappelli concert, UFO Over Hollywood Bowl. Enhanced Brain-Mix by Peter Stenshoel. Additional voices of Jerry Modjeski; Susan Murawski; Roger Colby; Craig Lang.